A study by the research firm GlobalData shows a whopping 600 percent increase in the number of people who identify as vegans over the last three years. A big reason for the increase is it has never been easier to go vegan. There are countless vegan recipe sites and cooking videos all over the Internet, as well as vegan meal prep delivery services that bring fully prepared plant-based meals straight to your doorstep. 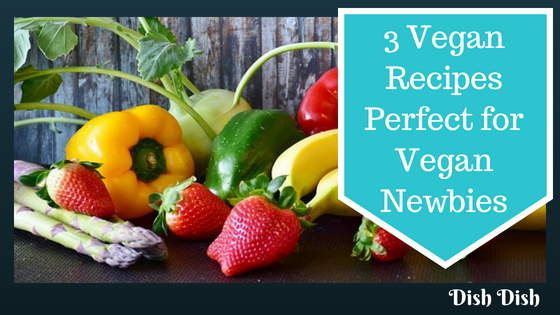 Below are three vegan recipes perfect for those just making the transition to veganism. Step 1: Start by soaking the sun dried tomatoes and walnuts for at least 20 minutes. Step 2: While your tomatoes and walnuts soak, add the rest of your ingredients to the food processor. Step 3: Once 20 minutes have passed, add the tomatoes and walnuts to the food processor. Your goal is to have a ‘meaty’ consistency rather than a creamy paste. Step 4: Dump the mixture on a baking pan and roast in the oven at 350 degrees for 20 to 25 minutes. You can also skip this step and eat your walnut taco meat ‘raw’. A burrito bowl is a simple and tasty meal that many vegans use as a lunchtime staple when they first make the transition. Step 1: Cook the instant rice for 5-10 minutes. Follow package instructions for accuracy. Step 2: Mix black beans, corn, and salsa together. Step 3: Add the rice to your mixture and stir. Step 4: Cook mixture on stove for 5 minutes at a medium heat. Make sure to stir every minute. Step 5: Add cilantro and bell pepper after cooking. Step 6: Mix in avocado dressing. Step 1: Smash avocado thoroughly. Step 2: Add smashed avocado into mixture of all other ingredients except the non-dairy milk. Step 3: Add 1 tablespoon of non-dairy milk and stir. Repeat until you achieve the desired consistency. Another worry potential vegans have is they will have to give up their favorite baked goods. This couldn’t be further from the truth. There is a vegan alternative to virtually every baked good you can think of. These vegan banana coconut cookies only have 2 ingredients, which make them perfect for vegan newbies. Step 1: Warm up oven to 350 degrees F.
Step 2: Toast the shredded coconut for 5 to 8 minutes. Make sure to watch it closely, as there is a fine line between toasted and burnt. Step 3: Combine the toasted coconut with the mashed banana and stir extensively. Step 4: Measure out 2 tablespoons of mixture and place globs onto baking sheet until mixture is gone. Step 5: Bake for 30 minutes. Step 6: Allow cookies to cool for at least 30 minutes. This is important for consistency. 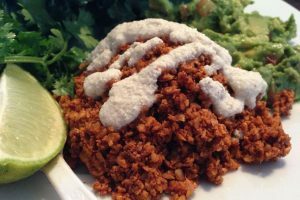 While the vegan recipes in this article are super simple, there is nothing easier than having an already-prepared meals delivered to your home. Two big reasons people don’t go vegan is time and money. 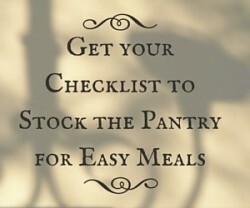 They assume the meals take too long to prepare and the ingredients are too expensive. The right vegan meal prep delivery service eliminates prep time completely and provides quality ingredients at an affordable price. Consider trying one in your area today.